Finding the perfect gift for friends, family and neighbors this Christmas Holiday season can be a challenge. Years ago it was easy to bake some cookies and share them. Today you would be concerned if your neighbors could enjoy the cookies due to dietary restrictions and honestly who has time to bake anymore. If you do take the time to bake for the holidays, making enough for all your friends, family and neighbors can become overwhelming. Instead of worrying about baking and taking the risk that your gift recipient can’t enjoy your baked goods, here is a great option that is safe for nearly all dietary needs while still tasting amazing. Yes, I am talking about Chocolate. Not just any chocolate, but a healthy dark belgian chocolate that is not made like traditional candy chocolates. This chocolate is truly medicinal. Cocoa flavonoids or flavanol are what is valued. When you research chocolate and heart health or lowering risk for disease, they are referring to the benefit in the cocoa flavonoid content. 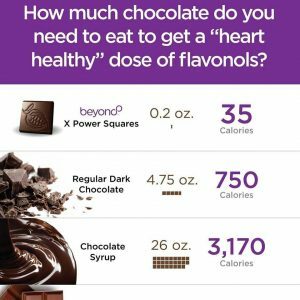 You won’t find that information on any of the chocolate bars at your local grocery store, your favorite chocolatiers or even at your local health food store. No, this chocolate uses a patented process to ensure that the important antioxidants and cocoa flavanoids are retained in the chocolates. 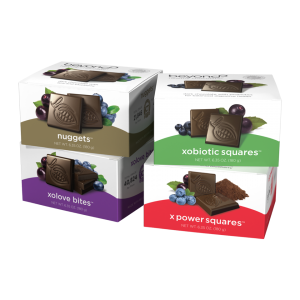 Available in four flavors, Beyond Nugget, Beyond Power Square, Beyond Xobiotic and Beyond Xo Love Bites. These individually wrapped chocolates are just 35 calories a piece, 1 gram of sugar and 1 net carb. This makes the chocolate a perfect option for a diabetic, those on the KETO diet or any diet at all, for vegetarians, for those on a gluten-free diet and others who appreciate clean eating. 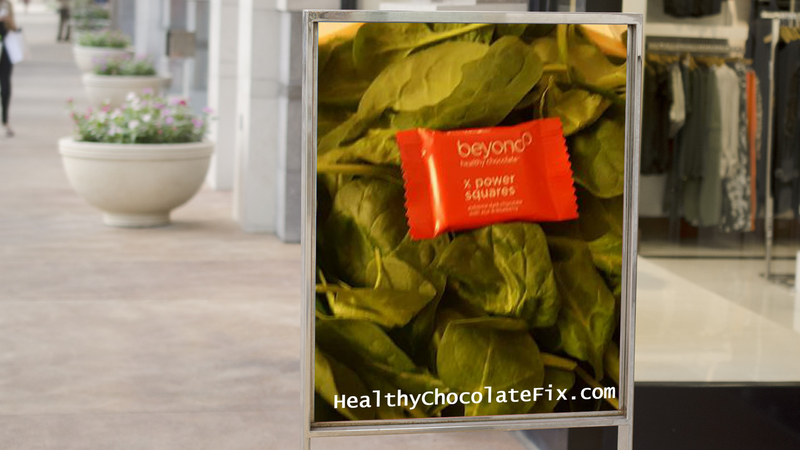 Even better, each piece of beyond chocolate is equal in antioxidants to over 1 pound of raw spinach. This year give the gift of health and chocolate. We recommend the Beyond Variety box for gift giving. Simply purchase one of the Variety boxes and you will receive four individual boxes of chocolate ideal for gift giving this Christmas. You will receive one box of each variety sold by Beyond. Each box offers 30 individually wrapped pieces. When ordering for those you care about, consider including yourself. Our family has been eating this chocolate for over 8 years and we believe it has helped us all dramatically. I personally have controlled my type 2 diabetes eating this chocolate before every meal or snack and incorporating a supplement called berberine. I no longer need to take ANY diabetes prescription medication. I simply changed my chocolate. How cool is that! Order your Beyond Healthy Chocolate at HealthyChocolateFix.com. 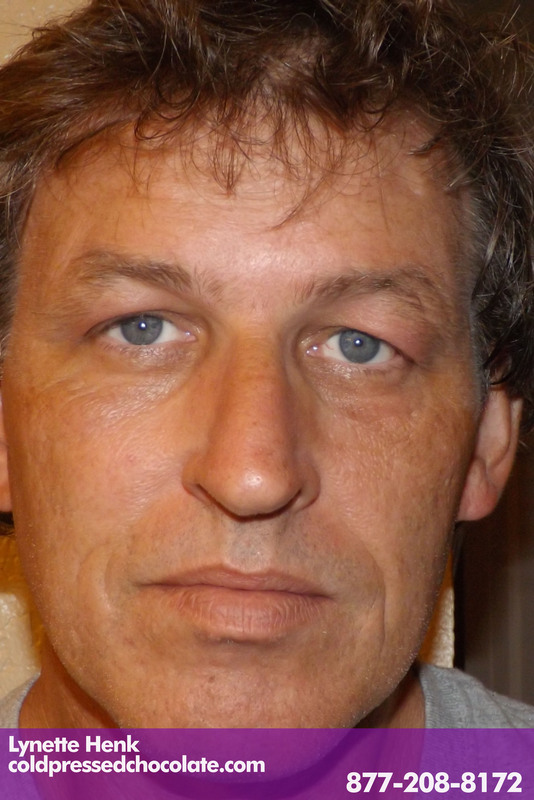 You can also visit us at (941) 676-7300. PreviousBest KETO Healthy Chocolate Christmas Gift Idea For Friends & Family – Cyber Monday Sale ON NOW!